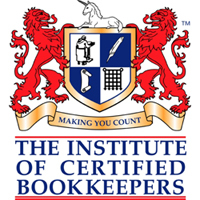 On Monday, Sage became the proud winner of the Institute of Certified Bookkeepers (ICB) ‘Software Provider of the Year 2013’ award. This, the inaugural launch year of the category, saw Sage beat four other vendors to win the award. Sage secured 38% of the vote across the ICB’s 24,000 members, many of whom recently signed up for the Sage Bookkeepers’ Club, launched in February 2012. Described as the Oscars of the bookkeeping world, the ICB Annual Luca Awards recognise outstanding achievement in the profession. Sage won the prestigious award at a ceremony at Lancaster House on Monday December 9th, 2013, which was presented by the Royal Patron, HRH Prince Michael of Kent, GCVO.